Getting your golf back on track. Every golfer knows what it means to experience playing an absolutely sublime round of golf, and everyone has been through the experience of a day when everything has gone wrong. Even the slightest change of technique can affect your putting stroke, or the timing of your drive. Golfers are notoriously negatively impacted by a loss of form, but unfortunately the harder they try to solve the problem – the worse it seems to get. The new buzz word doing the rounds of sports performance studies, including golf, is Yips. This is an especially dreaded condition for golfers, as there is seemingly no quick fix for the golfing flaws, which mainly affect the short game like putting and chipping. What exactly is golfing Yips? Golfing Yips is best described as a sudden flood of self-criticism, self-doubt, and performance anxiety, which is very difficult to shake, and takes the enjoyment out of your game. Some researchers have suggested that the messaging between your brain and your muscles gets mixed up, causing a physical problem of twitching muscle fibres. More in depth studies have revealed that Yips may be psychological issues due to a sudden lack of confidence from a negative or traumatic event lurking in the subconscious mind. The Mayo Clinic has confirmed that Yips is actually a psycho-neurological problem which affects the muscles. Part of their suggested treatment includes relaxation therapy to improve concentration, as well as achieve a mindset of positive thinking, so that you do not self-sabotage yourself by clinging to the negative images which are holding you back. Experts agree that working with hypnosis to reprogram the subconscious mind and eliminate unwanted scenes such as missing easy puts, is the best way to go for a golfer to positively change negative imagery, and put an end to self-sabotaging beliefs. About hypnosis for golfing Yips. Hypnosis is a technique, used by many renowned athletes in all sporting codes, which can evoke change at a subconscious level, which is the master of the conscious mind. A highly trained, professional hypnotherapist can access the subconscious mind to help athletes, including golfers, overcomes issues of nervousness before a competition, conquer problems like self-doubt, and a lack of self-confidence in your abilities. Here are some of the ways hypnotherapy can help you render even better performances than before. · Help you to acknowledge that when things go wrong, it is not a disaster but rather an opportunity to improve your game. 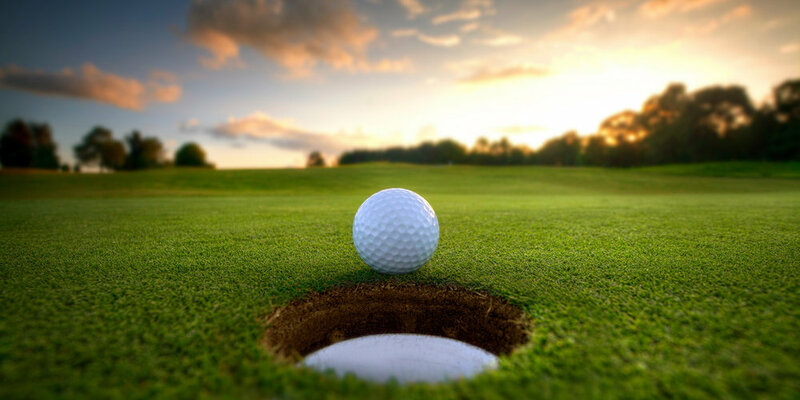 · Extreme focusing on the outcome of the game will not help you to play better, as it increases anxiety and may prevent you from playing a proper shot. Focus instead on what you need to do and win or lose, allow the end game to take care of itself. · These techniques will induce a sense of calmness and relaxation whether you putt, chip, or even drive. · Instil a culture of positive thinking and composure that will prevent you from embracing negative ideas that you will lose – even before you start to play. · Hypnotherapy can help to link your talent and physical attributes to a positive mental attitude, and create a very successful future outcome of many successes. · By accessing the subconscious mind when you are in a state of complete relaxation, the therapist can help to establish why the sudden loss of form occurred. It could be tracked down to a specific event, a criticism, a negative comment, or even a past injury which may have resulted in an unexpected layoff. Once the reason has been identified, the subconscious mind can go through a healing process, and the conscious mind will no longer be affected by the issues. The Yips can affect any sportsman from beginners to the most experienced pros. Sports hypnosis is a proven, well-researched science - and is beneficial to all who want to achieve their sporting goals.